Welcome to Rejuvenate Massage Studio! About Me	Shae Trotter, L.M.T. I am a seasoned licensed massage therapist with many diverse specialties including: Deep Tissue, Swedish, Thai, Lymphatic Drainage, TMJ and Prenatal massage. There are benefits to each of these massage techniques and individual types of massage. The body can react positively to a particular technique one day, and the next time it may not. Therefore, I customize each session to the unique needs of each client. I also use pure coconut oil, which is antibacterial, natural and has anti-inflammatory properties. 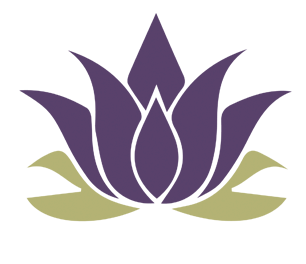 I am state licensed and graduated from the Atlanta School of Massage in 2004. Swedish massage is what comes to mind when most people think about massage. To relax the entire body, massage therapists rub the muscles in the direction of blood returning to the heart. Swedish massage is beneficial for increasing the level of oxygen in the blood, decreasing muscle toxins, improving circulation and flexibility while easing tension. People who receive massages once a month had increases in the number of lymphocytes, white blood cells that are part of the immune system, and a boost in the immune cells that may help fight viruses and diseases. Deep tissue massage therapy is akin to Swedish massage, the pressure is deeper and focuses on the deepest layers of muscle tissue, tendons and fascia. Deep Tissue Massage has been shown to reduce blood pressure, stress hormone levels, and heart rate. Generally if you are dealing with a chronic or acute pain this is the best option for you. Massage therapy during pregnancy is a healthy way to minimize stress. There are many discomforts during pregnancy, which can cause tension, backaches, edema, and so on. Massage reduces stress on weight-bearing joints and encourages blood and lymph circulation. Women with normal, low-risk pregnancies can benefit greatly from massage. However, women in high-risk pregnancies should consult their doctor or midwife before beginning one of my massage therapy programs. *You must be in your second or third trimester. No one in the first trimester should receive massage. Please tell me when booking the massage they you are pregnant and what trimester you are in. 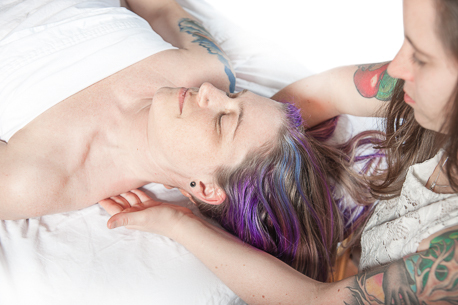 Thai massage looks like a cross between acupressure, yoga, and Zen shiatsu. The actual massage consists of a technique that uses slow, rhythmic compression and stretches along the body’s energy lines. Over 70,000 Sen are said to exist within the body, and Thai massage concentrates on applying pressure along 10 of the most important Sen using the palms of the hands, thumbs, elbows, and feet. The effort from the practitioner works to free tension within the body. Practitioners also position the body into yoga-like poses and gently rock the body to more deeply open joints and facilitate limbering. Thai massage can be done as an integration into another form of massage on the massage table (as see in the photo above) or on its own performed on the floor Thai mat. The Thai mat was purchased from Thailand and this provides a unique element of massage. Because Thai is focused on stretching and continuous flow, the client stays fully clothed in athletic stretch clothing and therefore sheets are not used for draping. This type of massage is especially good for those who are more modest, and would prefer not to be undressed under a sheet. Thai massage is great for anyone who can most benefit from flexibility. This includes people who sit for extended periods of time and athletes who are not the best at stretching on their own. People who love this type of massage include the elderly, runners, and desk workers. This massage is focused on the unique needs of a performance driven athlete. Shae’s sports massage is not the traditional style sports massage. 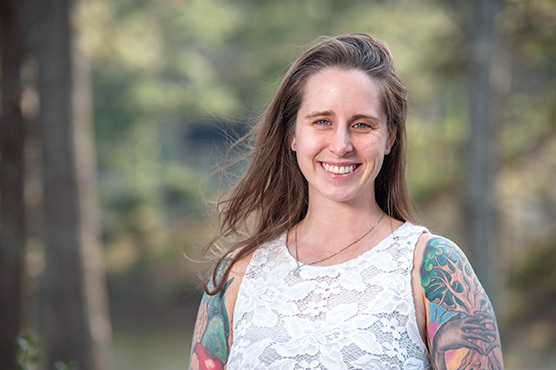 This is because Shae uses her own style in combination with her knowledge of Thai massage to give strong results for those who are focused in improving their sport. This massage is for those who grind their teeth and/ or suffer from jaw discomfort including TMJ syndrome. TMJ massage focuses on releasing the muscle spasms in the jaw so that the joint is free to line up correctly and ultimately release. 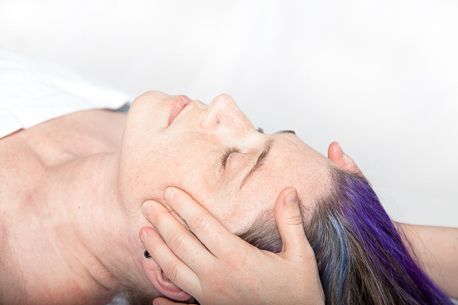 Most people have no idea that TMJ massage exists! It can be immensely valuable for those who struggle with jaw pain. *This massage can also be integrated into any 90min massage. Lymphatic Drainage Massage was developed by French physician Bruno Chikly. This technique involves the application of light, rhythmic strokes to help alleviate various conditions related to the body’s lymphatic system. Among other things, the lymphatic system is responsible for flushing out toxins and draining fluid, which supports a healthy immune system. When lymphatic circulation stagnates; however, fluid can build up and cause physical problems, such as inflammation, edemas and neuropathies. Lymphatic Drainage Massage enables practitioners to restore proper lymph flow by using a “mapping” system to assess congested areas in the body, then apply gentle, pressure using the fingers and hands on these areas to reactivate proper circulation. Most physicians here in the United States do not know much about the lymphatic system, and there is still so much that is unknown about this system. Shae received her training from Elisa DiFalco with the MLD Institute International. She works with people who are looking for anti-aging massage, pre and post surgery recovery, those people looking to minimize cellulite, help with mild skin flare ups, swelling, lethargy, sore and stiff muscles, boosting immune health. Lymphatic massage also aids in the decrease of stagnant fluid weight, reduction with edema, bruising, and pain. This type of massage is indicated for those who have been in a motor vehicle accident. The length of treatment and result of care will vary from one person to another. Shae does bill insurance and work on attorney lien for this type of massage modality. If you are interested in this type of massage due to a car accident, please preface this before you book a massage with Shae. You will need to have all of your information of your accident with you as a reference. This massage is call Tian Di bamboo massage and it integrates bamboo as a tool to relax and elongate the soft tissue of the body. This massage includes long gliding and short rhythmic strokes that easy the irregular fiber patterns of the muscle and smooth out any congested tissues. Hot stone massage incorporates the use of heat combined with massage. The stones are made of Basalt Lava and are excellent conductors of heat. Shae uses a combination of placement and movement with the stones that is both relaxing and therapeutic. This massage can start and end as a smooth and relaxing massage, or work into a deep and therapeutic session. The one hour session is a bit rushed for the hot stone massage and should be used as an upper body session only and 90 minutes if you would like a full body massage. Hot stone massage incorporates the use of heat combined with massage. The stones are made of Basalt Lava and are excellent conductors of heat. Shae uses a combination of placement and movement with the stones that is both relaxing and therapeutic. This massage can start and end as a smooth and relaxing massage, or work into a deep and therapeutic session. The 90 minute massage is for a full body session and allows for moving and placed stones as well. I appreciate who Shae listens to my areas of concern, plus gets feedback from Dr. Dave about what areas he knows I need work on. Shae is now doing the Tai Chi (sp) massages and I can now sit crosslegged on the floor. It is amazing and so is Shae. If anyone suffers from arthritis, this is the massage to get. Friendliness, the massage was very helpful among other things. It was very relaxing! Professional, responsive to customer needs, able to work deep in tight muscles. Shae is extremely competent, as well as personable and professional. Great vibe, great hands. Appreciate the spur of the moment accommodation! Excellent customer service from the massage therapist. Massage was extremely beneficial and she went over all different types of information to educate herself about my condition and specific situation. Gift certificates are great for any occasion, make the ones you love feel special with the gift of a healing touch from a professional. Please email or text me any questions about options. Shae’s studio is in Woodstock, Georgia, at 246 Creekstone Ridge within the offices of Advanced Pain and Spine Center. Please enter at the main entrance of 246 Creekstone Ridge through the greater wellness office. The sign is at the 248 please do not be confused by this. If you have questions or need additional information, please call: 404-518-5913 or use our Contact Form! © Copyright Rejuvenate Massage. All Rights Reserved.